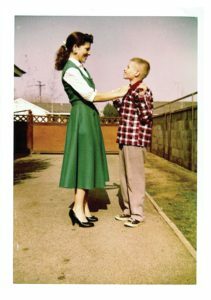 In 1945, Bob and Mary Jeffery had a son with multiple disabilities. As he grew, they looked for services to assist them. Finding nothing that met their standard of care, they started their own program with six boys in their home in Norco, CA. Their reputation for helping the boys reach their full potential in a loving environment spread quickly and they had to expand to meet the demand. In 1965 the First Congregational Church in Corona, a United Church of Christ (UCC) developed an interest in the program when the pastor’s son became one of the residents. An endorsement by all UCC churches in southern California resulted. A nonprofit corporation was formed which purchased the property and contracted with the Jeffery’s to continue to manage the program. There was widespread support by church members and community that resulted in many contributions and volunteer help. Through the 1990’s and into the new millennium, additional homes were opened in the community. The on-campus home licenses were converted from a lower to higher level of care to meet the changing needs of those living at The Ridge. In 2008, a capital campaign and a major gift from a couple made it possible to purchase Dudley Home, dedicated to serving six disabled adults with intermittent medical needs. This home opened in July of 2010. Today, we serve almost 100 residents in 11 homes throughout Corona. We have even more information and continue to learn about how we can best support people with intellectual and developmental disabilities. With the help of some new regulations and some long-standing laws, we are excited to be able to move beyond needed care, community, and active citizenship, to empower these individuals to drive their own desires and goals, providing them with a greater sense of independence and fulfillment.